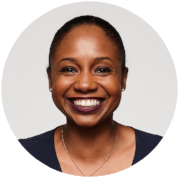 Launching Local Guild chapters and a national Fellowship for teachers focused on using human-centered design to advance teacher-led innovation. While The Teachers Guild believes in teacher-led innovation, they know that teachers are able to make a greater impact through collaboration. 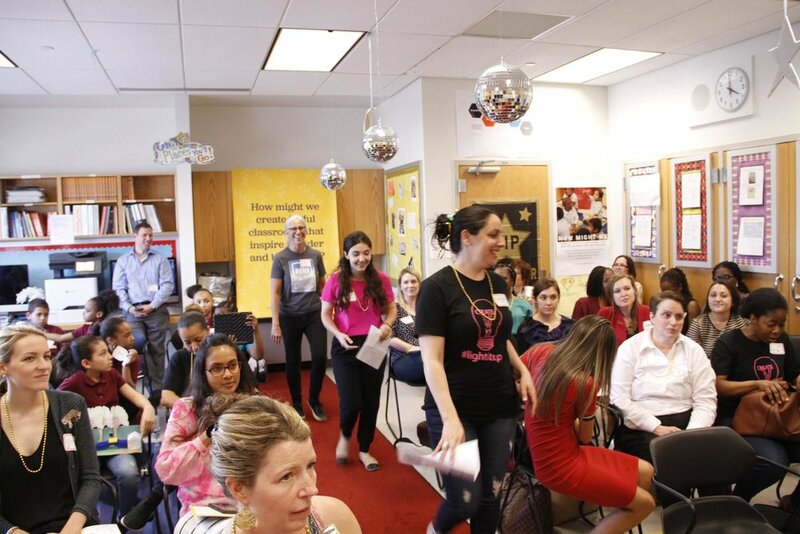 By launching the Fellowship and Local Guild Chapters at three sites (Vista County, CA; The Bronx, NY; and Gwinnett County, GA), the Guild is inviting school principals and district administrators to join teachers in creating meaningful change. These new programs create opportunities for vertical integration between teachers, school leaders, and district leadership. This increased coherence helps in identifying the most promising solutions for students, being evidenced-based in how teachers understand the impact on students, and sharing teacher-designed solutions across the district. Bringing new ideas to life with design training, mentorship, and a supportive cohort of fellow educators. Activating a culture of teacher-led creative leadership with local schools or districts in a region. A teacher participating in the Creative Leadership Institute at Gwinnett County Public Schools shoots a confetti cannon. Confetti cannons are used as a tool for celebrating risk-taking. Teachers Guild Fellows kicked off the year together, launching a year long design journey together. 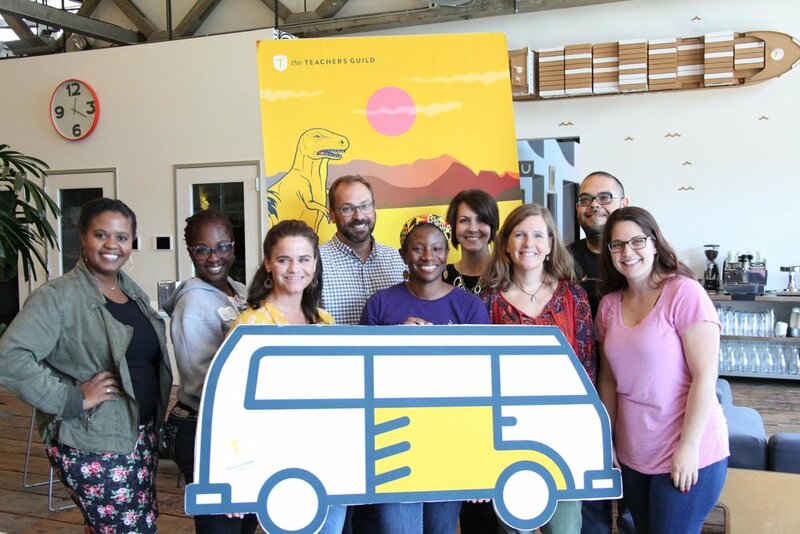 Fellows were selected to develop a passion project through the design process. 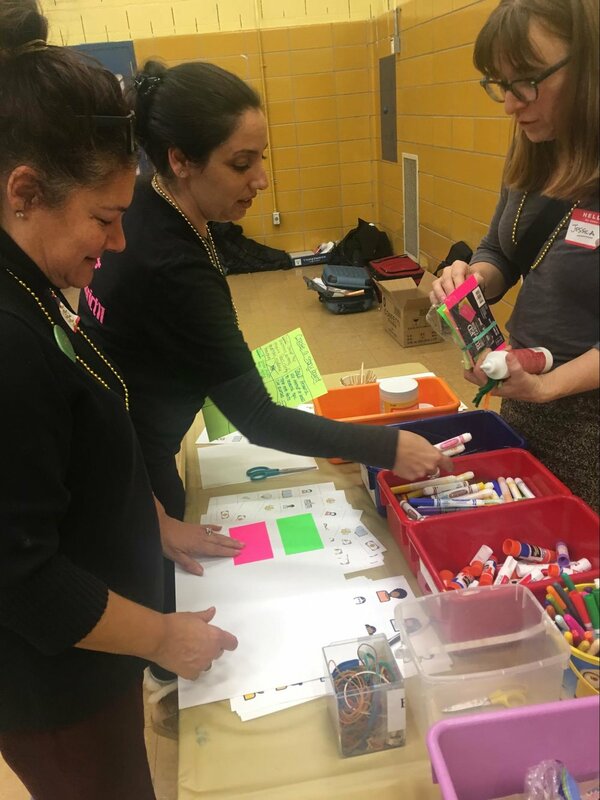 At the Innovation Summit, teachers were able to engage with rapid, interactive prototyping activities to build an idea they’ve been thinking about and get tangible quickly. Teachers get creative at the Innovation Summit; designing a field experience program to bridge classroom content to learning beyond the four walls of a classroom. 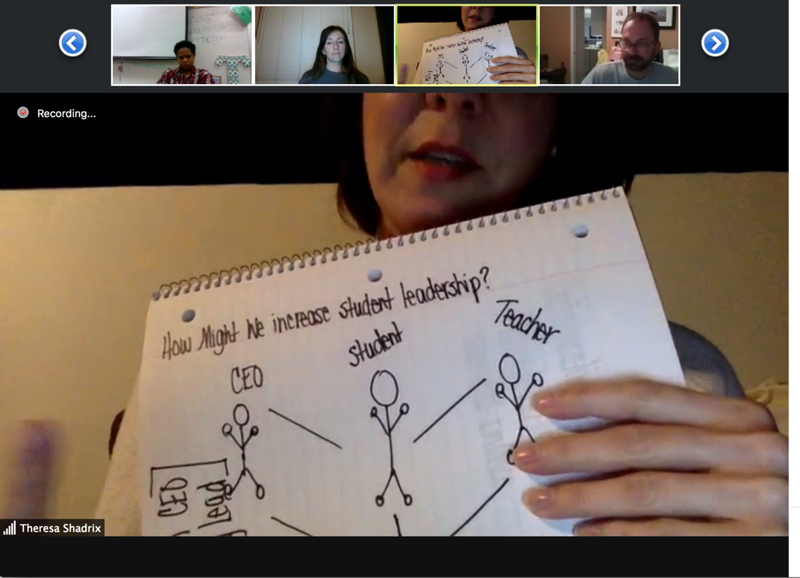 Screenshot from a Virtual Community of Practice Call. Fellows shared sketches of how they were thinking about their idea during the Build phase. At New York City’s Impact Showcase, the red carpet was rolled out (literally!) to celebrate teacher design teams as they presented their ideas and design journeys at the culminating event. Gwinnett County Public School teachers proudly display their Certificates of Awesome after presenting ideas at their Impact Showcase. The Teachers Guild is a professional community that activates teachers' creativity to solve the biggest challenges in education today. In our collaborative learning programs we use Design Thinking, a learner-centered approach to problem solving. Teachers tap into their inner designer by trying new ideas and discovering what works and why for their students and schools. To catalyze creative leadership, The Teachers Guild builds off the methods and mindsets from the Design Thinking for Educators Toolkit. It’s a learner-centered approach to problem-solving that builds teachers' skills and confidence to design for the evolving needs of their students and schools.